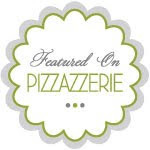 Have you heard the news...? You're invited to view the "Morning News Brunch" that I styled recently for Bird's Party Spring/Summer Magazine! 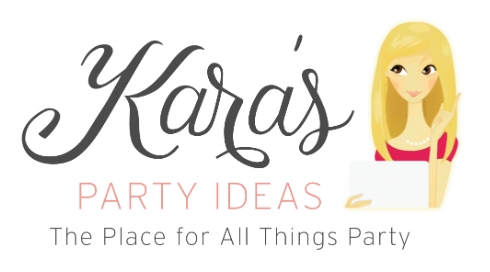 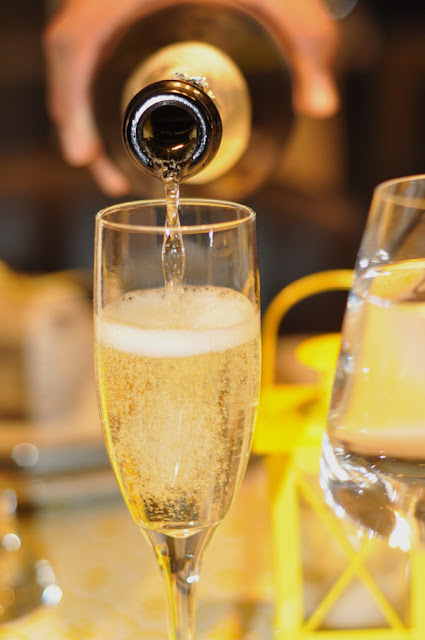 Click the link to view the magazine, which includes many other amazing parties from your favorite party stylists and bloggers to inspire you for all your Spring and Summer celebrations. 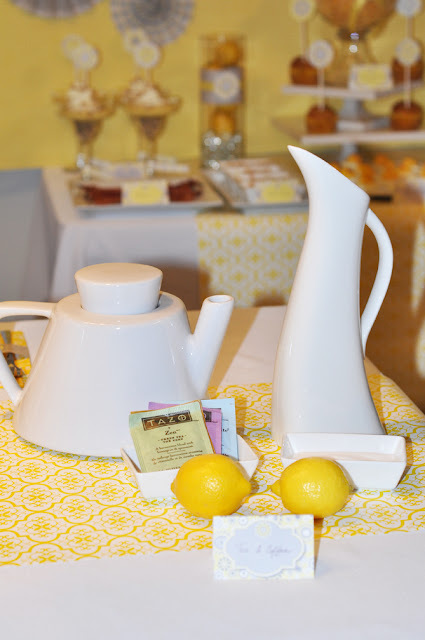 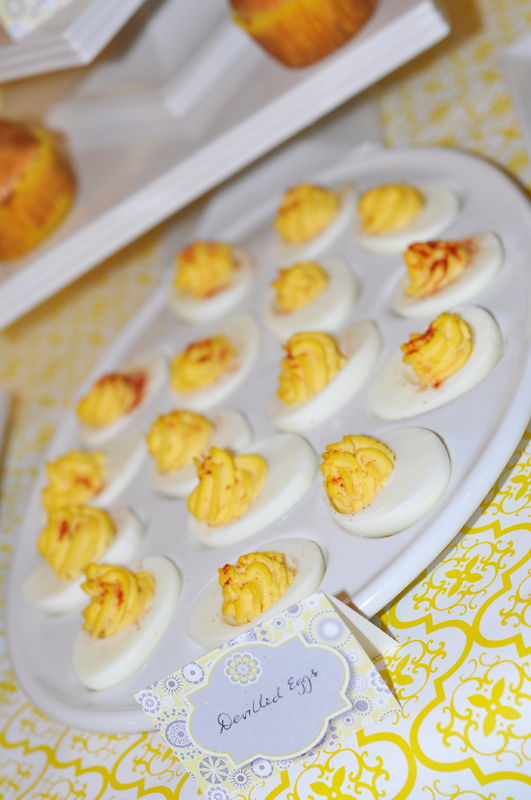 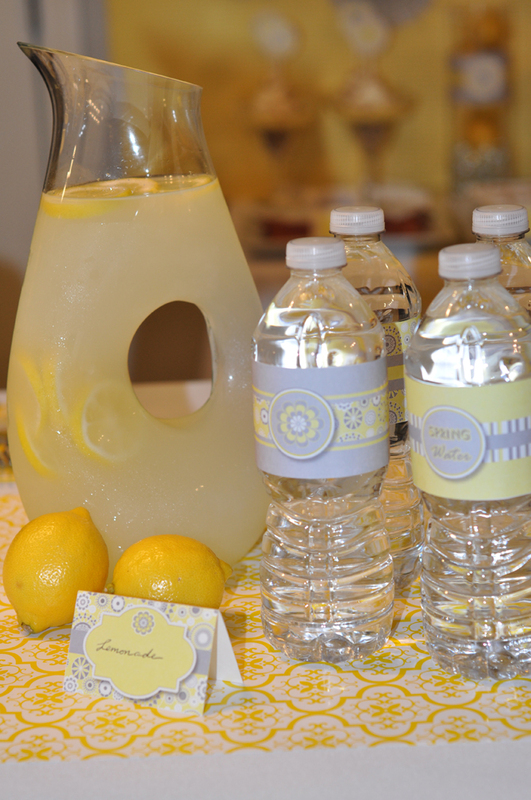 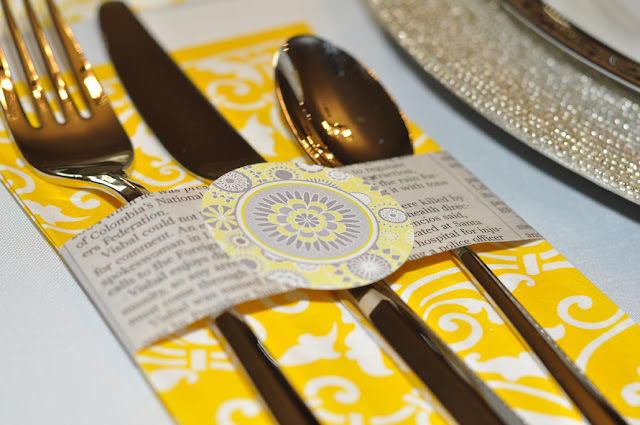 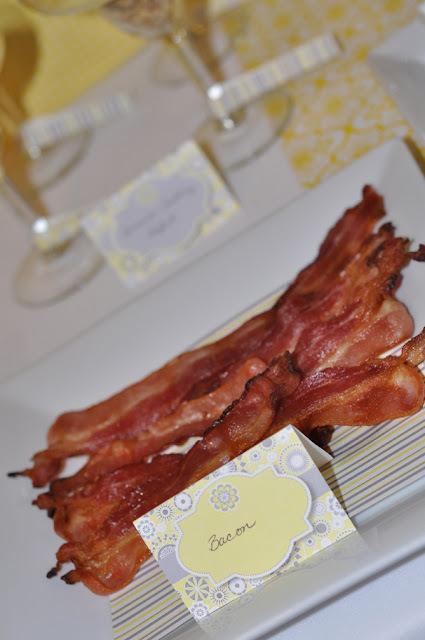 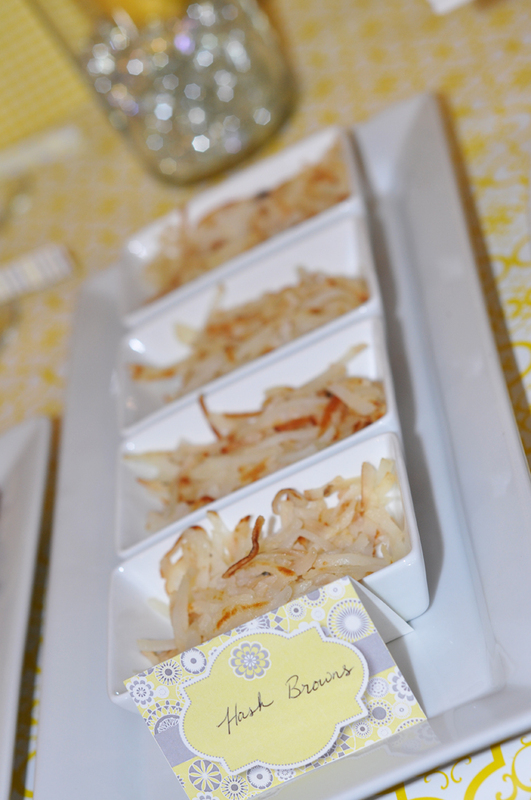 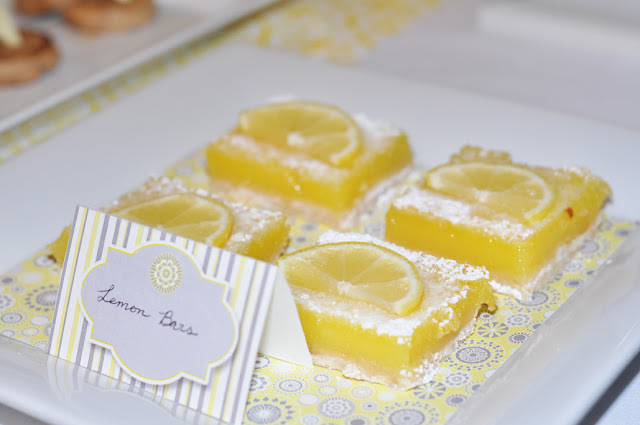 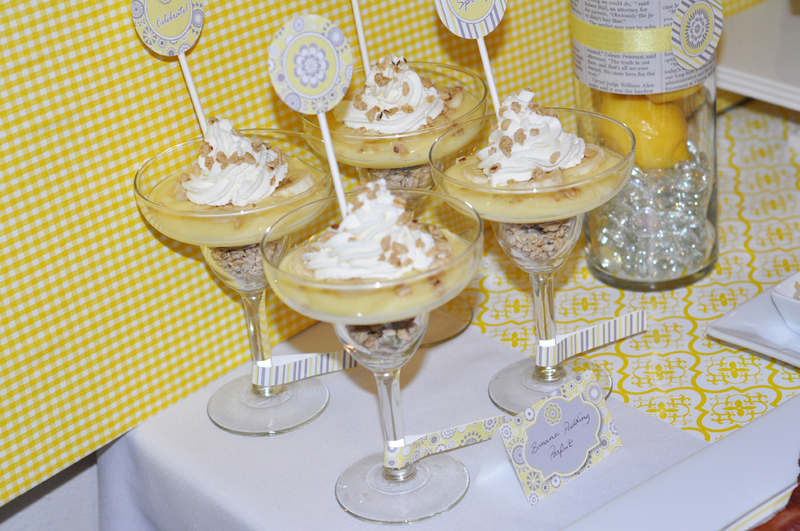 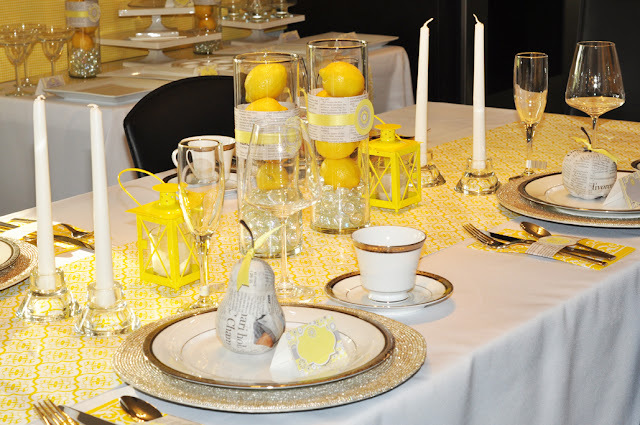 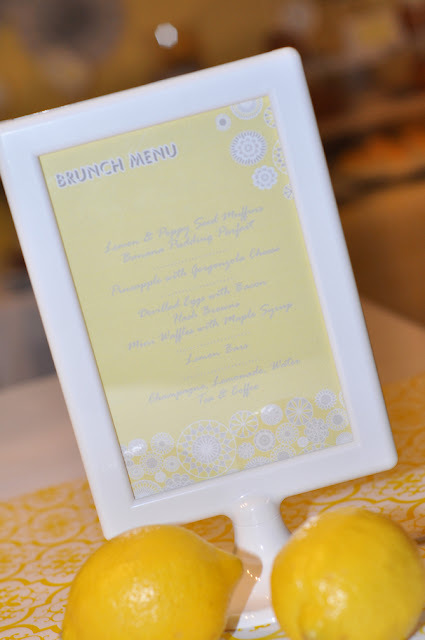 The theme for this brunch was inspired by the yellow and grey party printables from Bird's Party. 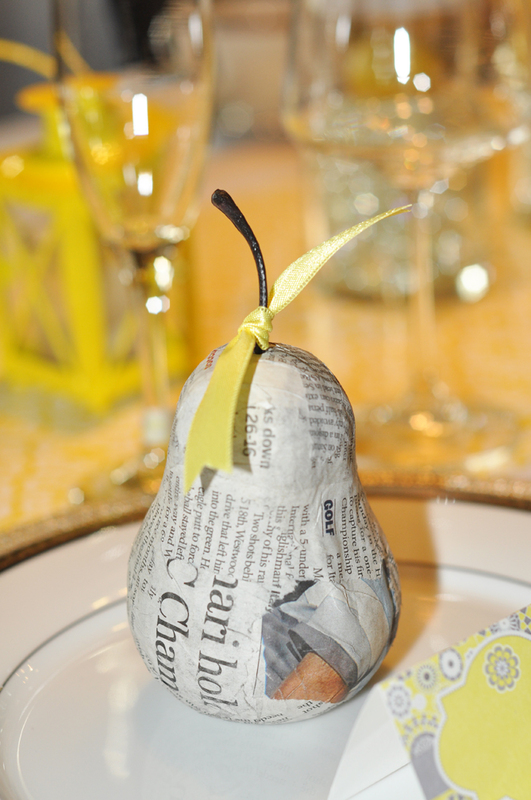 The use of newspaper fruit, fans and napkin wraps added a touch of whimsy and fun to the otherwise elegant tabletop. 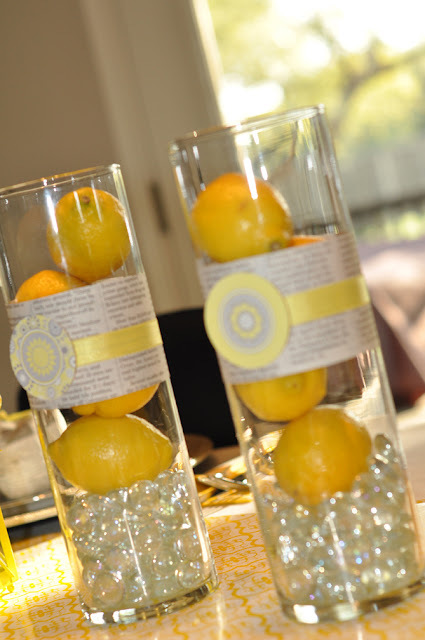 Vases filled with lemons created colorful and inexpensive centerpieces. 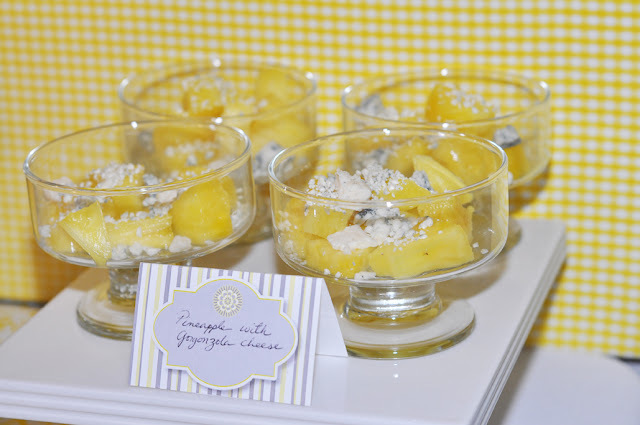 In keeping with the yellow/grey brunch theme, the menu included lemon poppy seed muffins, banana pudding parfait, pineapple with gorgonzola cheese, deviled eggs with hash browns and bacon, mini waffles with maple syrup, lemon bars, champagne and lemonade. 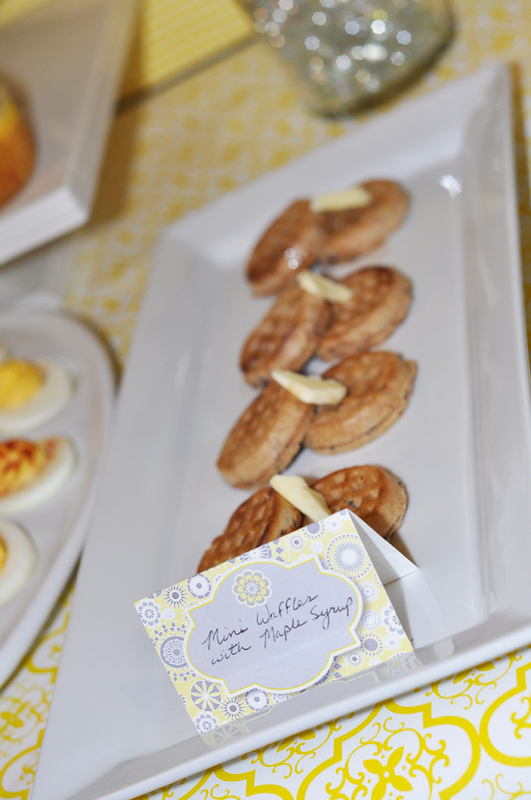 I kept the servings small to create a tasting buffet of the brunch items. 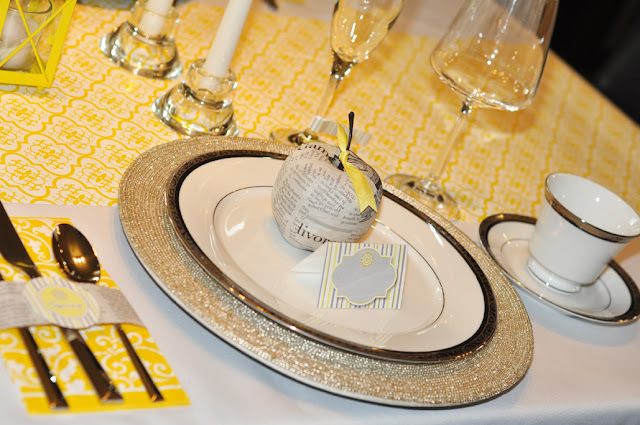 Here are more photos from the styled shoot. 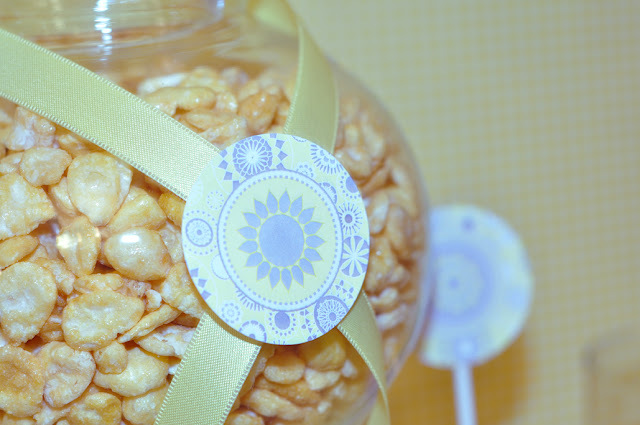 This is totally beautiful!!! You are soooo very talented. 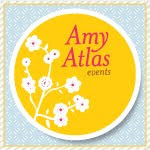 I love your eye for color and design!!! 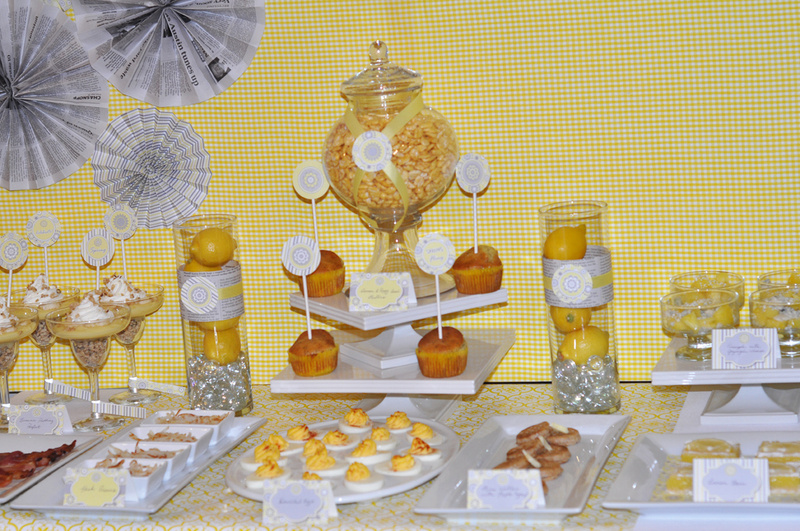 This set-up is amazing!!! 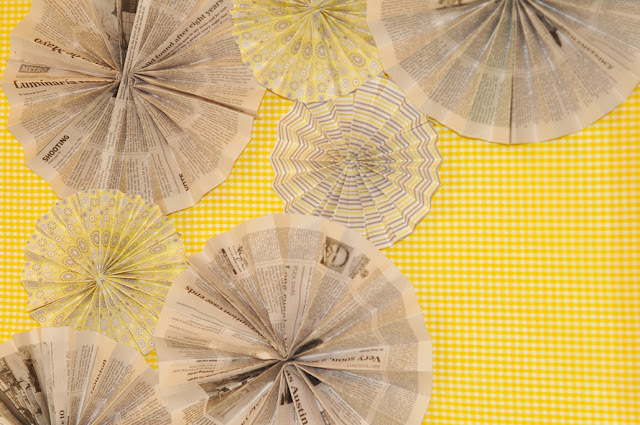 Really great work!!! 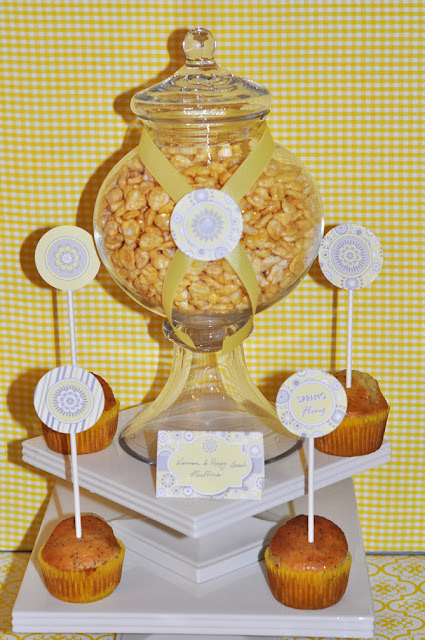 Starr, thanks for the sweet comments!